Hotel Delta is situated in the bay of Fethiye. It is a small family run hotel that offers exceptionally good accommodation and a high standard of service. 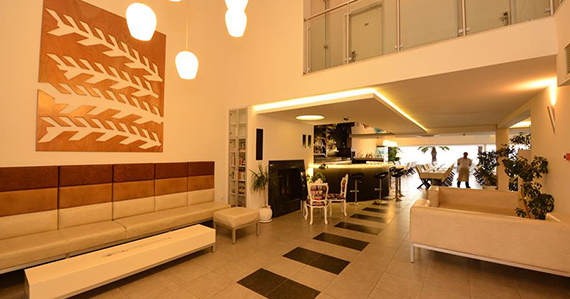 This modern hotel is set on the beach, you only need to cross the promanade and you are on the sand. The hotel has a lift to all floors. Tea and coffee making facilities are available in all rooms. On the ground floor there is an elegant lobby bar and our popular Italian Restaurant where a buffet style Turkish breakfast is served. Internet access is free and available throughout the hotel. 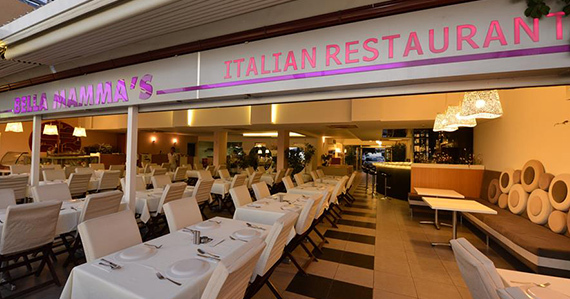 Located on the ground floor is Bella Mamma’s, our popular Italian Restaurant, Bella Mamma's. The restaurant offers a wind range of Italian dishes. The beach side location is perfect for relaxing lunch time snacks or idyllic sunset dinners.